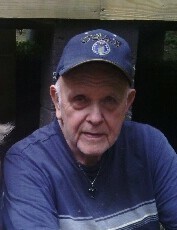 John “Jack” David Zeedick, 85, of Punxsutawney, passed away on Sunday, March 24, 2019 at Penn Highlands DuBois. He was born on July 01, 1933 in Anita, a son of the late John Thomas and Ruth Caroline (Walker) Zeedick. Mr. Zeedick was a Veteran of the United States Air Force from 1953-1957 serving during the Korean Conflict. He was assigned to Fairchild Air Force Base in Spokane, Washington and was a member of the 92nd Field Maintenance Squad. He trained as a Specialist jet engine mechanic at both Shepperd Air Force Base in Wichita Falls, Texas and Amarillo Air Force Base in Amarillo, Texas. He was awarded the National Service Defense and Good Conduct Medals. During his enlistment he played on the Air Force baseball team and traveled all over the world to play. Jack worked and retired from Jefferson Wholesale Grocery, he will also be remembered by many school kids as one of the “best bus drivers” for the Punxsutawney Area School District. When Jack was not working at one of his jobs he was busy working on his farm outside of Anita. His enjoyments were hunting, watching the Steelers, camping, and sitting outside by a fire with his family. He is survived by one daughter, Ruth Ann Hall and husband Michael of Salamanca, New York; four grandchildren, Nicole Jacobson of Punxsutawney, Joselyn Poole and Michael Vacanti of Buffalo, New York, Bradley Poole and wife Stephanie of Salamanca, New York, and Lauren Poole of Salamanca, New York; six great grandchildren, Taylor Miller, Ellie Skinner, Elijah George, Trey Homan, Attean John, Arabella Vacanti; son in-law, David Walker of Punxsutawney; nieces, Mary Jo Zeedick of Punxsutawney and Tammy Scott of Glen Campbell; nephew, Tommy Zeedick of Punxsutawney. Preceded in death by his parents, and daughter Jacqueline Diane Walker, his dear brother Thomas Richard Zeedick. Friends will be received from 12-2 p.m. Sunday, March 31, 2019 at Shumaker Funeral Home, Inc., Punxsutawney. A funeral service will be held at 2 p.m. at the funeral home, officiated by Pastor Carole Bergman. Military honors will be accorded by the Jefferson County Veterans Honor Guard. Interment will be at Morningside Cemetery.